The AC is underway—lists and deactivations are in progress! Remember that if you lost a character you did not wish to lose, you may post in maintenance to take their soul back from the reaper starting Wednesday, September 5th. If you currently have no active characters, you may post immediately to reactivate one! Posting Wizard has rolled over! August's winners were Bree (@Edric Umbridge) with 230 and Kit (@Roberto Devine) with 20. This month will be an epic showdown amongst Kelly, Fallin, and Lauren! Thanks to everyone who participated this summer! All Students go back to Hogwarts today! 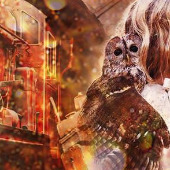 The Hogwarts Express leaves from London and stops in Irvingly before arriving in Hogsmeade. Carriages take students in years 2-7 from Hogsmeade Station to the castle, while first years arrive at the castle via boats. Everyone gets there in time for dinner and the sorting ceremony! 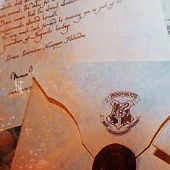 First Years may now post in the Sorting Ceremony to find out where they truly belong! Please remember to update your CD entry once sorted! Quidditch Tryouts are underway! Please make sure you register before posting in the appropriate thread. Tryouts run until September 9th. To whom it may concern, we still have an assortment of Hogwarts Staff and Prefect Positions open! Please be advised that the school year calendar in the Roster thread is from last year. Happy new skins day! Our resident graphic folk and our coding monkey (ily Te!) have been hard at work crafting four new skins for this season! 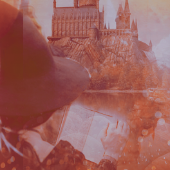 Sweater Weather by Te (@Prudence Browne), Hocus Pocus by Nolan (@Burton Beasley), The Hogwarts Express by Bee (@Elsie Beauregard), and The Witching Hour by MJ (@Elias Grimstone) are available for use now, as are our summer skins still! Got killer banner ideas? Keep your eyes pealed for our Winter banner call in the next couple of months! Only six days late kill me, but the school quidditch rosters have been fleshed out! Unlike all of you, your characters would have found out on the 9th or 10th as they were supposed to xD Any remaining slots are now available to simply grab, but you cannot slide a character in if they tried and failed to get it already! If you've made the team, don't forget to update the history records! All of your characters have been listed in the Character Directory—check back on your entries to make sure they were processed properly!